Regular air compressor maintenance is the best way to ensure that the equipment that keeps your business running in Nashville, Tennessee, is in peak condition. At A&W Compressor, our service technicians are factory trained and extremely knowledgeable in keeping your air compressor performing optimally. We proudly provide businesses throughout the region with air compressor equipment, rentals, parts and accessories, and maintenance and repair services. The service technicians at A&W Compressor understand the importance of having a properly functioning air compressor system and provide reliable services that meet your business needs. We are highly experienced in all types of compressed air systems and can provide efficient and thorough maintenance for your equipment. When you turn to us for your maintenance and repair needs, you’ll enjoy a range of long-term benefits. If your business in Nashville, TN, relies on a compressed air system to function, then regular preventative maintenance is a must-have. 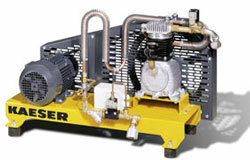 Contact A&W Compressor for more information on our air compressor maintenance and related services.